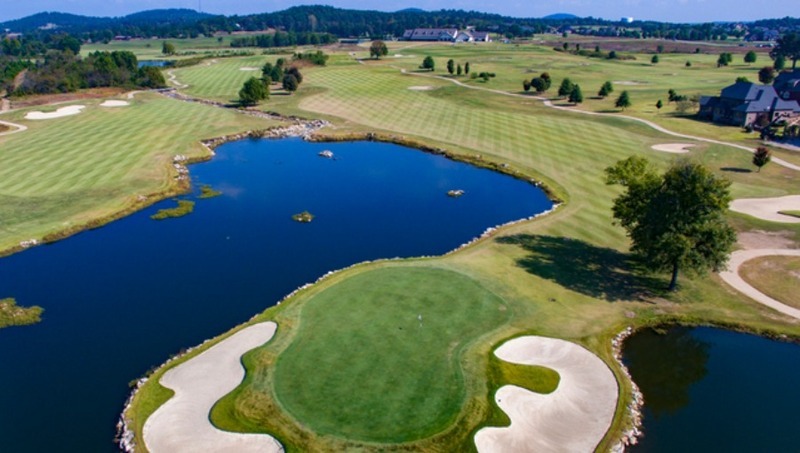 Winner of Golf Digest’s coveted five-star ranking, Big Creek Golf Course in Mountain Home, Arkansas is a destination for golfers world-wide. The award-winning course, opened in 2000, features white sand bunkers, L-93 bentgrass greens, and beautiful zoysia fairways. Well maintained for year-round play, the course also offers a three-tiered 400-yard driving range and separate putting and chipping greens for practice. Big Creek's variety of hole layouts and tee complexes provides enjoyable, but challenging golf for players of all ages and skill levels. Visitors to Big Creek will enjoy the beauty of the Mountain Home and Twin Lakes area, located in North Central Arkansas in the heart of the Ozark Mountains. Big Creek offers public play and memberships.